While their signature green ’65 Chevy is certainly iconic, the most important part of their name is probably the word “neighborhood.” What began as a niche, quasi-hipster spot in a still up-and-coming area just south of the Victorian District has become one of the hottest tables in Savannah, in an area that is more than coming into its own. Chef/burgermeister Josh Yates believes in the farm-to-table philosophy, with all his meat coming from Hunter Cattle combined with an attention to craft brews on their rotating bar menu. From the looks at the line of margarita swillers waiting along Whitaker Street for a table, it’s clear that this isn’t your run-of-the-mill cantina. Tequila’s Town has been packed since it opened last summer, offering a take on Mexican comida that branches beyond burritos: Savannah has become enchanted with chicken enchiladas smothered in chocolatey mole sauce and quesadillas de huitlacoche stuffed with a Mexican mushrooms. Facebook and TripAdvisor spark with raves for TT’s sopa Azteca, and the tableside guacamole service draws customers from far past the county line. “We’re getting away from the stigma of Mexican food being just rice and beans,” owner Cuauhtemoco “Temo” Ortiz told Connect last year. 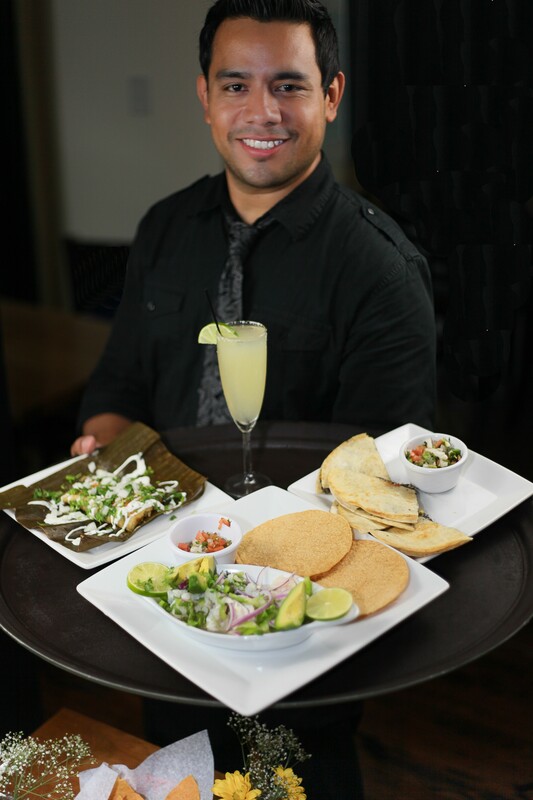 The founder of other local Latin-themed restaurants including Rancho Allegre and Hidalgo’s, Ortiz has found sizzling success with this boundary-breaking menu. That may have something to do with the fact that his mother, Señora Ortiz, oversees la cucina to make sure the recipes of Oaxaca, Veracruz and her hometown of Morelia are kept true. For her mole poblano, this abuelita suprema insists upon a specific hot pepper that can only be sourced from Florida. “If she doesn’t have the right ingredients, she doesn’t want to cook it,” shrugs Temo. 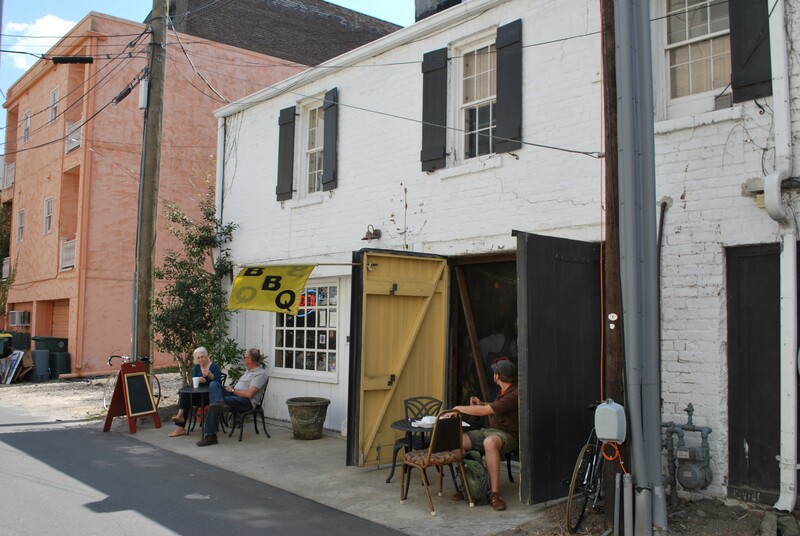 Situated in Savannah’s SoFo (South of Forsyth) district sits one of the city’s most popular two-story homes, slinging Tex Mex cuisine, brunch and some of the finest coffee in the South. The fine folks at Foxy Loxy Cafe have done it again and won both best coffeehouse and coffee—the latter undoubtedly a nod to their chief supplier and partner PERC Coffee. Though with their expansive food and drink menu, regular live local music and newly added brunch offerings this win comes as no surprise. Indeed, Jennifer Jenkins’ labor of love has surpassed being solely a coffeehouse and can readily be considered a staple in the Savannah scene. Featuring various artists’ work and serving as a stop on First Friday’s Art March, Foxy has become an integral proponent of Savannah’s artistic community. From hosting events like Acoustic Tuesdays and Vinyl Appreciation Night to their revolving gallery of local and distant artists SoFo’s famed java joint is truthfully one of the city’s artistic hubs. Let’s face it: Service is perhaps the weak link in Savannah restaurants. 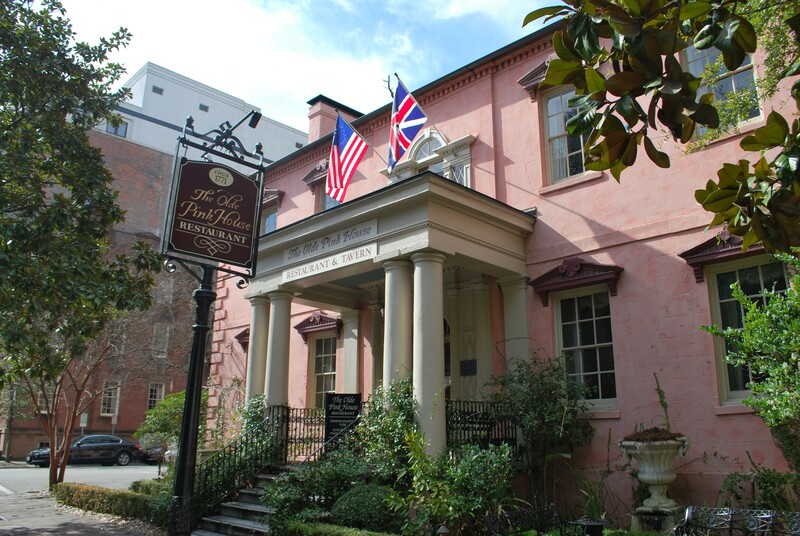 One of a handful of Savannah restaurants equally pleasing to locals and tourists alike, the Olde Pink House keeps things simple by concentrating on good food served professionally. Their recent bar expansion provides patrons with more options to have a cocktail: Facing the sidewalk with a view of Reynolds Square, or downstairs amid the piano music in the old faithful Planter’s Tavern. The 63rd edition of this beloved local tradition took place this past October to the usual huge crowds of baklava-and-bouzouki- loving attendees in the Hellenic Center across from historic St. Paul’s Greek Orthodox Church. Greek Festivals usually do big business all around the country, but what makes Savannah’s nearly unique is that almost all the food is still made from scratch by congregants, who begin volunteer work in the beginning of summer to make sure everything’s ready in time. Nestled in an unassuming retail plaza across from The Sugar Shack on Highway 80, Sundae Café is an epicurean success story flanked by a gas station and a beverage mart. The menu boasts hand-cut, certified black angus steaks, sushi nachos, oysters Rockefeller, foie gras, pork belly, seafood cheesecake, crawdads, pistachio-crusted tuna, and signature sides like bleu cheese bread pudding. It’s mouth-watering strip-mall gourmet; an evolutionary riddle wrapped in a geographic enigma, shrouded in surf and turf. “It’s a joke at this point—our regulars say, ‘We’re going to eat at the convenience store, we’re going to eat at the liquor store,” owner Kevin Carpenter says. The real joke is how an ice cream shop with three booths morphed into an upscale dining hot spot in fits and spurts, under the same ownership, and without the benefit of a name change. This fixer-upper fairy tale is nothing short of miraculous in a business as unforgiving as the food industry. Carpenter and Baker met as teens while working at a seafood joint on Tybee and bunked together at culinary arts college in Charleston before taking over Sundae Café in 2001. The transformation began with hot lunches and a blue plate special that garnered some steady guests. When the adjacent video rental store closed, Sundae Café annexed the space, installed a full kitchen and started serving dinner. Carpenter says the clientele demographic is close to 80 percent local, if not more. Even the bar fills up on reservations for dinner. 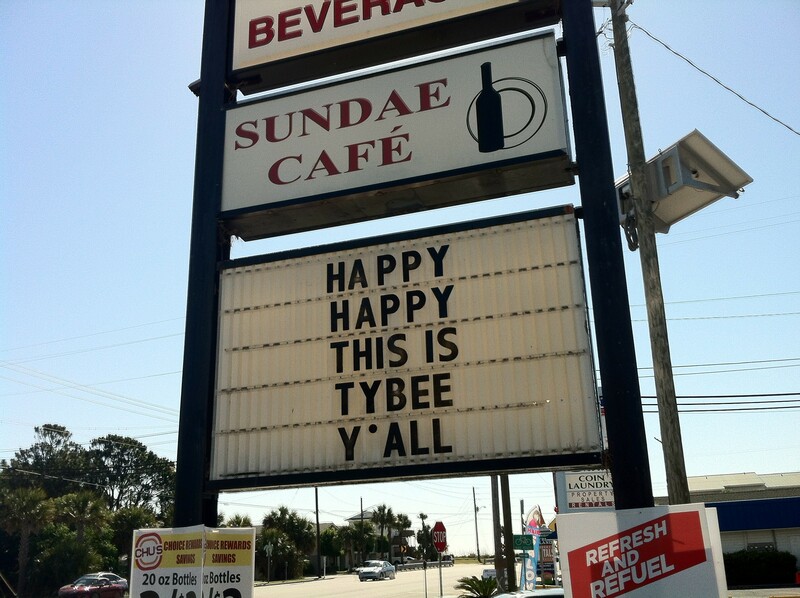 As the only Tybee restaurant with a strict reservations-only policy, you get the sense that nobody’s crying about the tourists who don’t know enough to call in advance. Baker and Carpenter are in the process of opening a second eatery called “80 East” a few blocks up the street. It’s also located in a strip mall. “It’s not going to be a traditional wooden top sports bar. It will have a full dining room and a marble-top bar,” Carpenter adds. Informally claiming the title of “Best Sweet Tea in the South” as well, this longtime local fixture has grown to six locations, all from their beginnings as a drive-up diner in 1960 at their original Skidaway location. It doesn’t overhype itself like some other downtown places one could mention, but Jazz’d has quietly staked its claim on an underserved menu segment, to great acclaim. What’s up in Roberto’s world these days? The perennial Best Chef winner continues to have a great thing going in the flagship restaurant on Abercorn bearing his name. But he is branching out a bit to the north, set to open Pacci’s Italian Kitchen + Bar inside the new Brice Hotel (formerly the Mulberry Inn). A new winner in this category, Joe’s Homemade operates from a Waters Avenue location and was named Small Business of the Year last year. And Joe is actually Ted “Joe” Paskevich, who works his magic with culinary partner Don Holland. Runner-up: Chef Nick Mueller & Co.
It’s well outside of downtown, but tucked away off Highway 80 is one of Savannah’s best restaurants. It was a close race this year, but Cheddar’s came out on top again. As West Chatham continues to grow at a hefty pace, look to see more and more action in this category every year. This South African comfort food mecca—now with a second location on Drayton Street —continues to impress locals and tourists alike. In one of the great Savannah success stories of recent years, the Forsyth Farmer’s Market not only combined great timing—a market finally ready to sustain a regular farmer’s market and make it worth farmers’ time and effort—but utilizing the full human potential of Savannah’s green and farm-to-table community. Enjoy a new menu at this longtime Savannah staple, with a lively foodie and bar scene and certainly one of the best marsh views in the area. Chef Donovan Smith has come a long way from making traditional Jamaican meat patties to sell on the streets when he first arrived in Savannah over a decade ago. Banking on the loyal following for his savory stuffed pastries, the Westmoreland native, former bodyguard and retired U.S. Army soldier expanded his menu to include more island favorites and opened Sweet Spice restaurant on Waters Avenue in 2011. 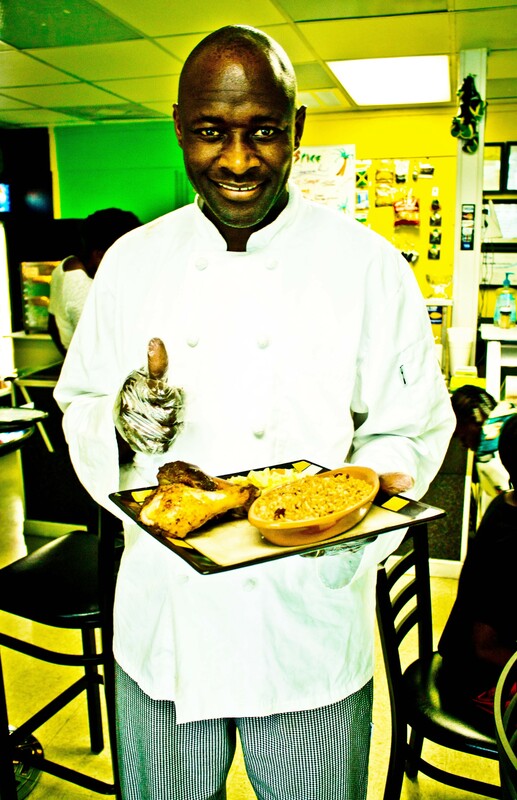 Now Chef Donovan and his family pile plates high with jerk chicken seasoned to make your eyes tear with joy and tender curried goat served with fried plantains and white rice. “Welcome to Sweet Spice, where everything is nice!” is the inevitable greeting to every customer who comes to feast. A favorite on TripAdvisor and among Memorial hospital employees, the restaurant stays busy at lunch and dinner—though the vibe is always irie, never rushed. Also on the menu are American-influenced comfort foods like dumplings and mac n’ cheese, but hey mon, live a little: this is a destination for authentic Caribbean cuisine like ackee and salt fish, featuring the ackee fruit, one of Jamaica’s largest exports. Fresh squeezed carrot juice and peanut punch as well as tasty roti bread also bring the flavors of the tropics to the deep South. “I learned to cook in mother’s kitchen, using plenty of spices and fresh ingredients,” Chef Donovan told Connect last year. Unlike back in the day, there are actually plenty of places serving late night food now in downtown Savannah. But Sweet Melissa’s seems to really embody the phrase “late night menu” in the sense most people understand it: The place to go when you get hungry during a night of partying and you may want to keep partying afterward. You’d think there’d be more great delis in a town with so many Northern transplants. You’d be wrong. But really, Savannah’s a small city and all we need is one really awesome one. Midtown Deli fits the bill, along with having very pleasant and helpful staff—not always a given in service-starved Savannah. One of Broughton Street’s most consistently popular success stories – and also filling an important niche in a town which oddly doesn’t have that many good but inexpensive lunch options—Kayak Café delivers according to a simple formula: Keep it fresh, keep it fast, keep it tasty, keep it healthy. Actually one of the first Savannah restaurants to go farm-to-table, Cha Bella continues to provide a short but well-curated menu featuring local delicacies and produce. A renovation to make it more welcoming to the scenester crowd, combined with the chain’s usual very high quality and attention to beef, make this a perennial winner ever since it arrived to town. You know what they say: A good brunch is hard to find. Or something like that. B. Matthews pretty much sets the bar for daytime eats downtown. Now pass that Mimosa! Downtown Savannah doesn’t have a lot of quality breakfast spots, but this regional chain identified a need early on and has garnered a large and devoted following. The core recipe concept is simple—it’s shrimp and it’s grits. It’s charmingly iconic; it’s low-country gourmet. It’s decadent down-home comfort food infused with as much regional pride as it is butter, and it’s a Best of Savannah 2014 category handily won by relative newcomer, the Public Kitchen and Bar. Like fried chicken or barbecue, shrimp and grits is a fierce dish to cast your vote on. There’s a regional sacredness about the bottom-feeder shellfish and ground hominy combo that most Yankees, tourists, and foreigners can’t understand, but still manage to appreciate. Public’s most popular dish boasts a base of bacon and cheddar grits, accented with chunks of Mexican-style chorizo, balanced with fresh tomatoes and peas and then drenched in a sherry-wine cream-based sauce. As an added atmospheric perk, you can gnosh your grits in a secluded corner of the Public’s subterranean brick grotto, or perch at the tastefully modern bar and people-watch. It the weather permits, you can also opt to slurp your shrimp street-side at a candlelit café table. Definitely a win-win. Seems like everywhere you go people say such-and-such is the best fried chicken in the world. Maybe fried chicken is just that good, period. Then again, when people say it about Mrs. Wilkes’, they’re actually correct. Old-school barbecue places are supposed to have very limited hours, close in August, be in a cinderblock building, have a smokehouse out back tended by old men, and have a loaf of white bread on the table. Angel’s has none of these things. But Andy and Aileen’s respectful yet innovative approach to all kinds of Southern barbecue earns them this award year after year. There are tons of corporate sub shops now, but so few of them realize, as Baldino’s does, that the whole point of a sub is fresh ingredients. Not only awesome wings, but a fun nightlife scene at this City Market staple. Every Southerner knows there’s nothing better than a good slab of ribs with the right sauce on top—gotta have the right sauce. Wiley’s doesn’t just rely on their pulled pork to draw crowds in—their ribs are among the best anywhere. People just love being delivered large plates of steaming-fresh seafood. It’s a primal thing. The folks at Crab Shack know this, and refuse to screw things up by gussying stuff up too much. They keep it fresh, keep it simple, and keep it coming. This Midtown maven of maritime mastery has been offering fresh bounty of the sea since 1946, and it remains in the Russo family to this day. One of Savannah’s first genuine hipster hangouts, Vinnie’s started out as one of City Market’s initial anchor locations back in the day when not every corporate interest in the world wanted to be at or near City Market, back in the day when employees with tattoos weren’t the norm. They have rolled with the changes, but not too much, to adapt to a growing and much-more tourist-friendly Savannah. Can you imagine how differently things could have worked out had they not staked their claim back then, and what chain place might be at that corner spot on Franklin Square instead? God Bless Vinnies. Every town needs a great local bakery, and Back in the Day serves Savannah’s purposes as well, with a copy of their signature cookbook being a required bookshelf item throughout the city. There’s a range of much sought-after sweet treats from cupcakes to three-layer cakes to bourbon bread pudding, but also lunch stuff like artisan breads and awesome sandwiches. It’s not only the “chocolate” in the name that entices, from its cakes to its dessert spread. It’s also the “bar” part, with signature sweet cocktails and a lively social scene after 10 p.m. The lines keep getting longer and longer, but folks continue to stay happy with the luscious offerings at this, one of the real staples of the Savannah foodie scene, resistant to TV trends and internet controversies. Stratton and Mary Leopold continue to oversee things with a very personal touch befitting this decades-old local business with deep roots in the community. The Fro Yo Revolution wasn’t televised, but Lovin’ Spoons led the way, now with three locations from Bluffton to Pooler. The flagship store on the Southside continues to give you the best kind of brain freeze. One of Savannah’s great food traditions, the nearly two-decade-old labor of love of Chef Yoshi has more than survived its move from Whitaker Street to southside and remains one of the city’s most awesomely delicious food experiences. Oxtails. Fried okra. Fried chicken. Turkey wings. Sweet potato casserole. Sweet potato pie. Smothered porkchops. Smothered shrimp. Smother it all! Good God y’all! Not prissy French, but real French peasant food in the best sense of the phrase, from a cheese, spinach, tomato pie to a croque monsieur, all in a charming storefront space on bustling Broughton. Vive la France, y’all! In addition to an Asian epicurean odyssey, you always have fun here with the personalized tableside service. Not Savannah’s only Indian place, but definitely the one that blends excellent flavors —mostly the robust heartiness of Northern Indian cuisine—with a wonderfully exotic ambience to create a real evening experience. Every town needs an awesome little falafel and gyro joint, and Al Salaam is Savannah’s. The family project of Mr. and Mrs. Muqbel Salameh serves fresh, cooked-to-order Middle Eastern faves—plus fries! —and has garnered a faithful clientele that spans the gamut of local society, from hipster to housewife, from student to stockbroker. The ‘90s Chicago Bulls of Savannah restaurants, Wangs II has easily won this category in every year of this poll’s existence. Not content merely to cater to tourists on River Street, Olympia also prides itself on holding its own with any other sit-down restaurant in town and at this point is really one of Savannah’s longest-running epicurean success stories. This go-to favorite on Broughton Street offers quality and value for the lunch crowd as well as folks looking for a nice evening out, convenient to downtown nightlife. This Waters Avenue spot is quietly but steadily gaining a great reputation among Savannah diners looking for a tasty exotic food experience not at exotically high prices.